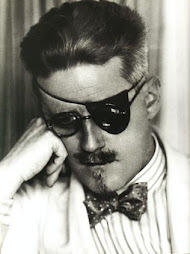 Bloomsday Joycean breakfast almost sold out! click here to go to Bloomsday Bruff Facebook Page for up to date information! Book breakfast tickets ASAP! Very few places left for breakfast! Booking essential so that we can inform our caterers, The Bakehouse Restaurant, with definitive numbers. at this stage book by phone 087 2127521. UP TO DATE INFO! :Joycean Breakfast almost sold out! URGENT! 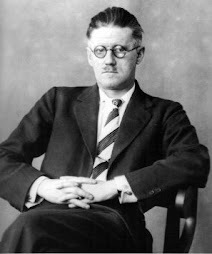 Important to book your place for Joycean Breakfast in Bruff on Bloomsday (next Thursday 16th June) 087 2127521 or bloomsdayinbruff@gmail.com. 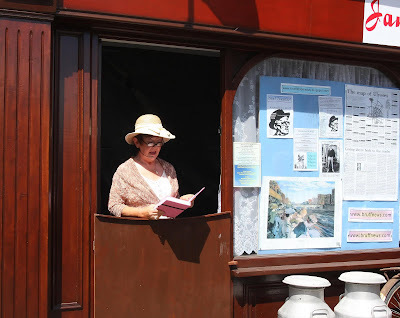 DAILY UPDATES ON THE FACEBOOK PAGE, "BLOOMSDAY IN BRUFF FESTIVAL 16th JUNE 2016" click on the link above! The annual celebration of the works of the writer James Joyce takes place on Thursday 16th June, with the opening ceremony at 11.00 at the Church of Ireland building, Main Street, Bruff. This most distinctive Festival is now in its ninth Year. 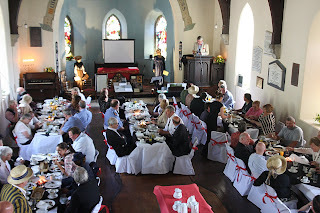 If you would like to help in any way, by reading, playing some music, contributing some raffle prizes please get in touch with us at 0872127521 or bloomsdayinbruff@gmail.com. 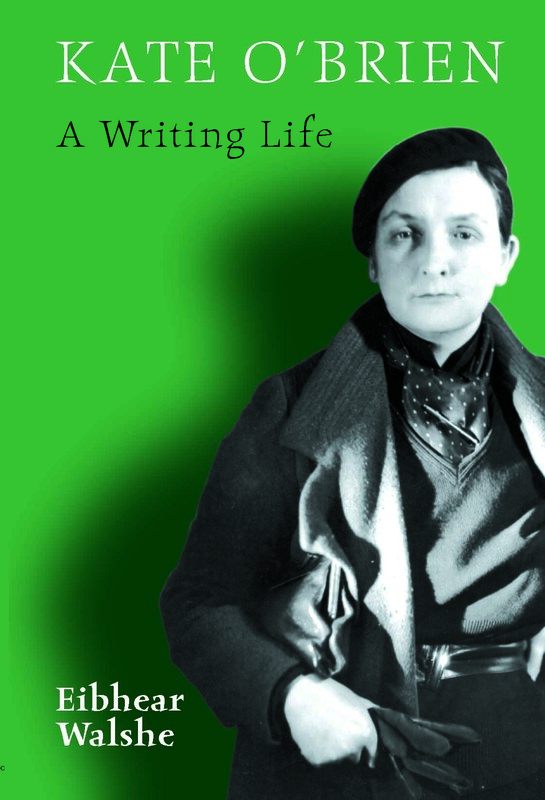 Bookings for the Joycean Breakfast must be made by telephoning or by email. We look forward to your support! Get your outfit ready and book the breakfast and the day!